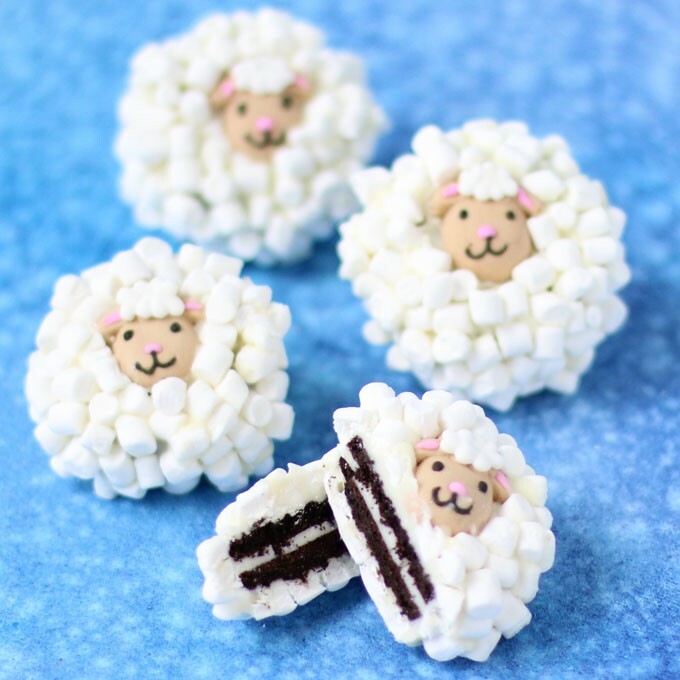 White chocolate dipped Oreos topped with tiny marshmallows and candy sheep heads. Pour candy melts into a small microwave safe bowl. Dip an Oreo in the white candy melts. Lift out using a dipping fork and allow the excess candy coating to fall off. Press a royal icing sheep head in the center of the cookie. Let dry for a few minutes before moving to a parchment paper lined baking sheet. Repeat, creating 12 Oreo Sheep.